Cholay is another Pakistani dish that is served as a snack or appetizer… and I’m sharing it today as part of iftari food. If you are working with dried chick peas, soak them in water [overnight]. 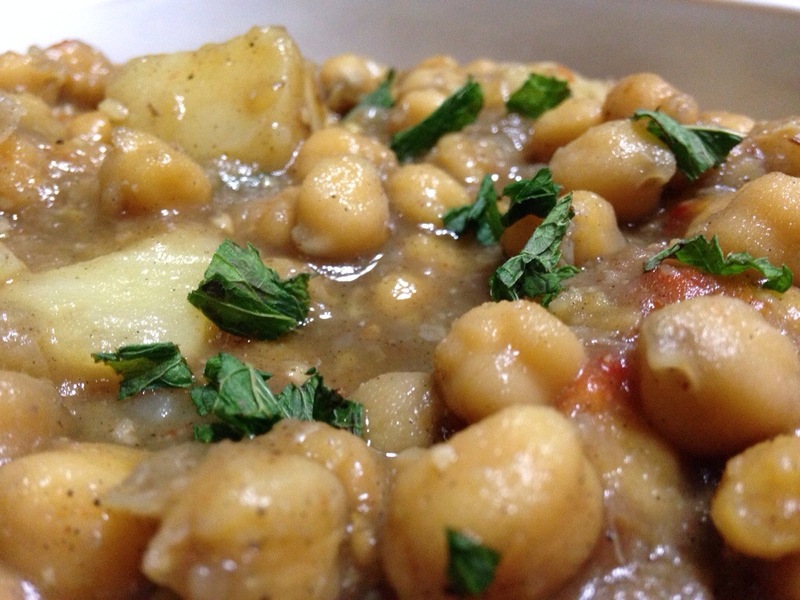 To chana [chick peas], add salt, baking soda and enough water to cover all the chick peas to bring it up to a boil. Keep your heat on high until it comes to a boil, then turn to extreme low heat for the rest of the cooking process. Add in [peeled and diced] potatoes to the chick peas half way through it’s cooking process [so it can just cook together]. You can remove liquid if there is an excess amount. Once it’s ready, add in diced tomatoes, one of the following [cumin or chaat masala, and imli [tamarind] chutney. When you are ready to serve, add in either mint or coriander leaves.